The rise of abusive constitutionalism in Central and Eastern Europe (CEE) has hit the domestic judiciaries particularly hard. Viktor Orbán expanded the size of the Constitutional Court and then packed it, made sure that he can install a new president of the Constitutional Court, ousted the Supreme Court president through a constitutional amendment, disempowered the existing judicial council and created the new institution with power over ordinary judicial appointments. Jaroslav Kaczyński followed the same playbook in Poland. While most scholars have focused primarily on effects of abusive constitutionalism upon the constitutional courts, we argue that the keys to the long-term control of the judiciary are presidents of ordinary courts and judicial councils . The dismissal of the Hungarian Supreme Court President is a perfect example of this logic—by this move Orbán got rid of the most important court president in the country, the head of the Hungarian judicial council and his most vocal critic. Yet, András Baka lodged an application to the ECtHR and won. 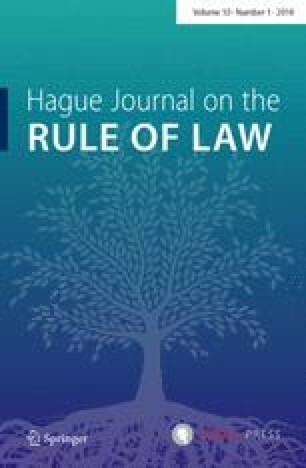 This article analyses the Grand Chamber judgment in Baka v. Hungary, its implication for the rule of law, and the limits of what the ECtHR can achieve against abusive constitutionalism. It concludes that the Grand Chamber failed on all key fronts. It overlooked the main structural problem behind Mr. Baka’s dismissal (the broad powers of court presidents in CEE), it has blurred the Convention’s understanding of the concept of the rule of law, and it failed in delivering a persuasive judgment firmly based on the existing ECtHR’s case law . The article is a part of the Special Issue of the 2016 Ljubljana conference. The research leading to this article has received funding from the European Research Council (ERC) under the European Union’s Horizon 2020 research and innovation programme (Grant no. 678375- JUDI-ARCH-ERC-2015-STG). We are grateful to Matej Avbelj, Jernej Letnar Černič, Petra Gyongyi, Gábor Halmai, participants of the Ljubljana conference in December 2016, and members of JUSTIN for their suggestions and comments, which significantly improved the original manuscript. The research leading to this article has received funding from the European Research Council (ERC) under the European Union’s Horizon 2020 research and innovation programme (Grant no. 678375- JUDI-ARCH-ERC-2015-STG).